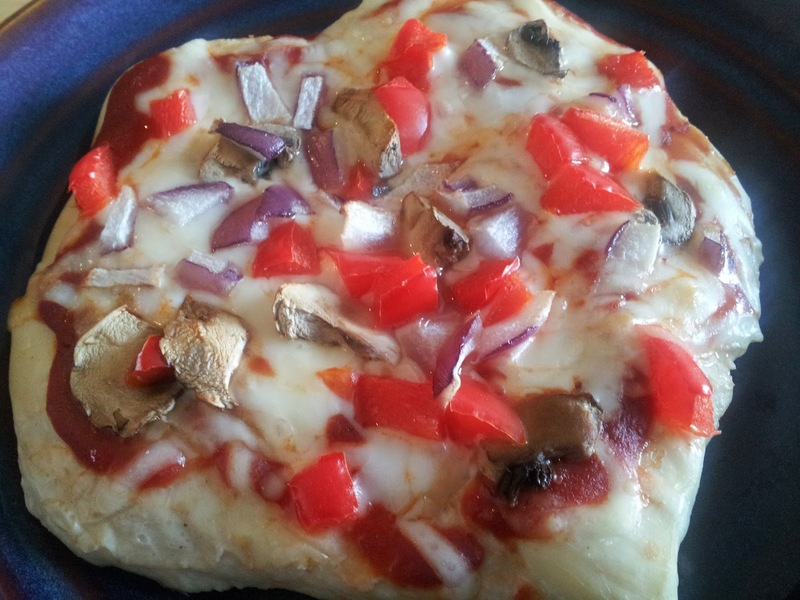 Since pizza is the greatest food ever, I'm always looking for healthier ways to prepare it. This version includes all the pizza goodness, with a lot more protein! Enjoy this with a salad for an extra serving of veggies. Preheat oven to 375 degrees F. Line two baking sheets with tin foil. Butterfly each of the chicken breasts (with the edge of a knife parallel to the cutting board, begin cutting down the length of the side of the breast, then slice the breast in half widthwise almost to the other edge, then open like a book). Place the chicken breasts on the baking sheet, with the butterflied section open. Bake for 10-12 minutes. Remove the pans from the oven, then quickly add toppings to each of the chicken breasts. Return to the oven, and bake for 12-15 minutes more (time will depend on the thickness of the breast), until chicken is cooked through.